At light, 15 km south of Aguila, Maricopa Co., Arizona. 11 March 2017. 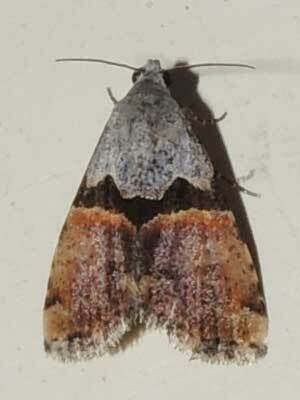 Length of the resting moth is about 9 mm. There are many, many kinds of owlet moths that could be found in the Sonoran Desert. This is one of the more strikingly patterned species. The base of the forewings is gray, while the distal half is rusty orange. A solid black belt separates the two colors. This moth ranges to the east where in Texas it is fairly common.